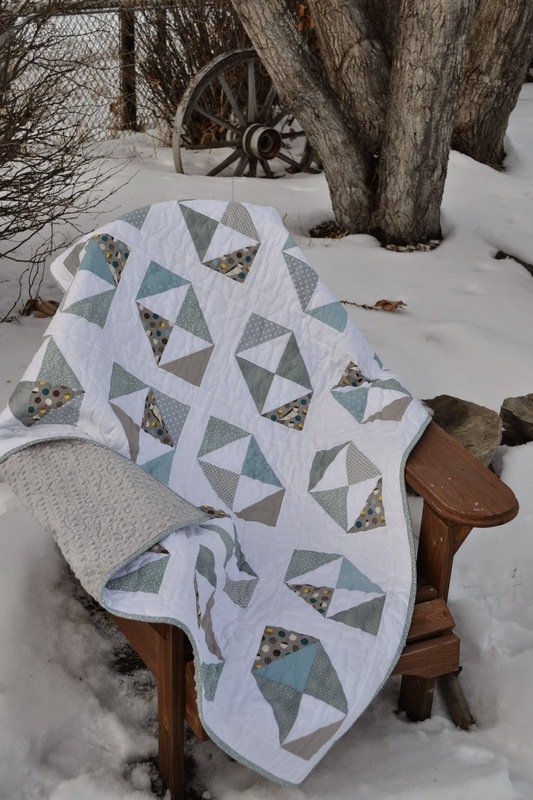 Magpie Quilts: New Year, New Quilts! While doing my year end inventory of fabric and sorting and cleaning up the projects that like to spread out all over my sewing room, I found a few left over half square triangles from a baby quilt I did a few months back. I had set these aside with the idea that I would make another baby quilt with a different layout of the same half square triangle blocks. In this quilt, I used four of the half square triangles to make a modified version of the Broken Dishes quilt block (found here). Looking good in a wintery photo! A few of the blocks are a little different - some have a colored fabric instead of the white and a couple have a colored triangle filling out one corner of the block (one up from bottom right). I took this one in to my local quilt shop My Sewing Room and used their long arm machine to quilt it and I have to say I loved using the long-arm. I loved how easy it was to "draw" my quilting on the quilt surface rather than maneuvering the fabric under the needle of my home machine and I loved how the stitch regulator kept my stitching even, regardless of how fast or slow I was operating the machine. 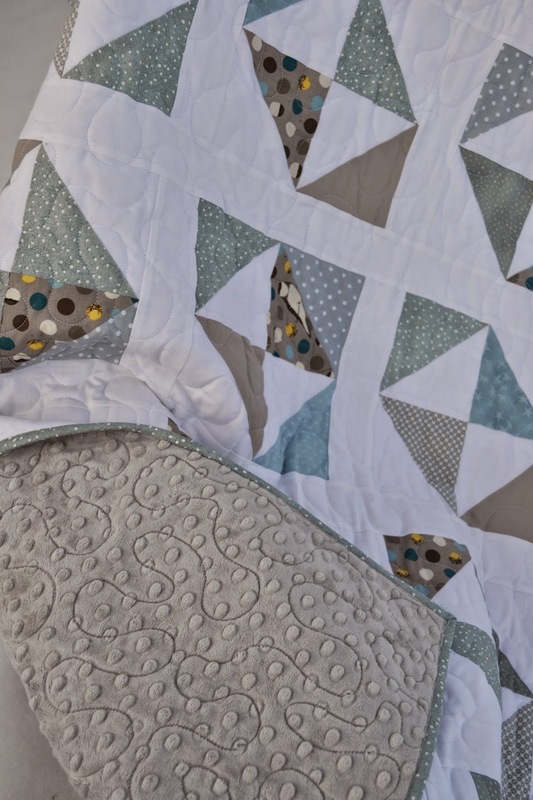 Baby Blue & Grey Quilt - FOR SALE HERE! I think this might be one of my fav baby quilts I've made for a long time!